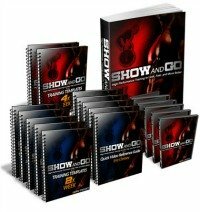 Every sport has its own jargon, rules and regulations, so if you are not familiar with a particular sport’s terms, you will have a tough time figuring the game out if you ever decide to watch or play it. Likewise, tennis has many terms which will throw you off the ground, if you don’t know anything about it. 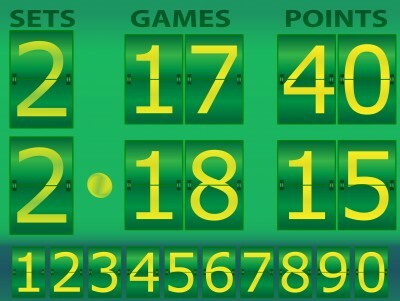 The tennis scoring system is also one of the weirdest ones in sports and many people believe that it originates from medieval numerology. To understand the tennis scores the first thing you should always remember is that a tennis player builds up points to win a game. He or she then needs to win as many games as possible to win a set. Finally, if he or she wins the most sets then they will win the match! Therefore, as long as you never give up on the game, you will always stand a chance of winning. Tennis is made up of two basic scoring systems. There is the regular scoring system and the no-ad system which is the simplified version of the regular system. Even though the framework of the system is the same, both differ only in one thing. A tennis player has to win 4 points to win a tennis game. This is where there is a difference between the regular and no-ad scoring system. How? The first player to win four points in a tennis game using the no-ad scoring system will win the game. However, the regular system is a completely different scenario. Now, if you note the table above, you should understand that if a tennis player hasn’t scored any point then it called “love”. However, if he or she scores one point then the score will be 15. Another point will make the score 30 and so on. The part which confuses most people is “deuce”. Suppose both the players are tied at 40-40 , meaning they both have won 3 points then the score is called “deuce”. At this stage if a player wants to win the game then he or she will have to score two consecutive points! So suppose you are tied at 40-40 and you score the next point, your opponent loses the point and you also lose the next point. You still won’t win the game with the regular scoring system as the whole point is to win two consecutive points! This is not the case with no-ad scoring system. Where to Stand At Each Point? To understand where to stand at each point is very simple. As long as you remember, at the start of the game, i.e. Love-All (0-0), you have to stand at the deuce court to serve or receive. After every point, you need to change side to serve or receive. For example, 0-0 will be at deuce court, 15-0 at Ad court, 15-15 at deuce court and so on. It is as simple as that. To win the set, a player has to win 6 games. A new set is started if one of the players has won the set, unless it was the winning set of the match. However, a player must win the set by at least two games. So, even if both players have scored 6-5 then the set is not over! Tennis players will play one more game to see who wins. Suppose after the next game, the score moves on to be 7-5; the set will be over. Except if the score turns out to be a tie, i.e. 6-6 then a 7 point tiebreaker will be played! Again, the player will have to win from a two point margin to win the tie-breaker. Whoever wins the tie-breaker will win the set 7-6 and that is the end of the set. Finally, the player that wins the most sets wins the match! So now you know how to keep tennis scores. Go ahead and play a match with your friends. 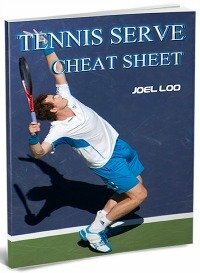 You will definitely learn and remember better when you apply the scoring rules to your tennis matches. 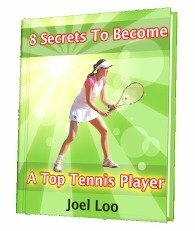 From "How to Keep Tennis Scores" To "How To Play Tennis Efficiently And Become A Better Player"